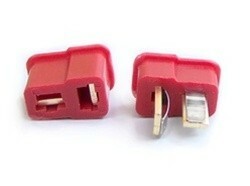 Male and Female Dean connector Pair. These Deans connectors are highly efficient, small, lightweight & are a high-power connector. These Dean connectors come supplied with the heat shrink tube.